Last week NASA announced the existence of seven Earth-sized planets orbiting the same star, TRAPPIST-1, only 40 light years from Earth. Adding to the excitement of this glittering milestone discovery, three of these planets orbit the star within its "habitable zone," where the strength of the star's light is suitable to support liquid water on their surfaces. That was last week's news. This week the question is, what do we do about it? While we can't launch a mission to see these seven worlds up close—or any of the now almost 3,000 confirmed extra-solar planets (exoplanets) for that matter, most of which are much more distant anyway—we can continue devising more advanced tools and techniques for exploring them from Earth. Today, NASA's Kepler and Spitzer telescopes search for and analyze exoplanets from orbit, while a number of Earth-based observatories, such as the Belgian TRAPPIST robotic telescope in Chile, work the problem from the ground up—so to speak. TRAPPIST made the first two exoplanet detections in the TRAPPIST-1 system in mid-2016, and the Spitzer telescope added the other five to the list in the following months. Next year will see the launches of two new space-based observatories that will advance our exploration of worlds beyond our solar system. They promise to shed more light on Earth-sized exoplanets with the potential to harbor liquid water, and possibly even life. 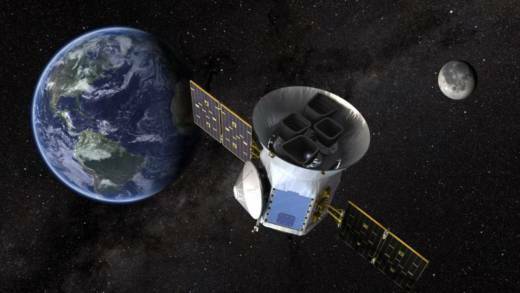 In early 2018, NASA will launch TESS (Transiting Exoplanet Survey Satellite) on a Falcon 9 rocket, a launch vehicle produced by the SpaceX Corporation. TESS's primary mission will be to look for extrasolar planets as they transit in front of their stars—the same method employed by Kepler. The size and orbital period of a planet, as well as its distance from its star, can be calculated by measuring the amount of light blocked by the planet passing in front of its star, and also how frequently the planet transits. Unlike the Kepler telescope, which has sampled a tight patch of stars tens of thousands of light years away, TESS will probe the stars closest to Earth—those within a few hundred light years—and in all directions in the sky. Some of TESS's intended targets are even visible to the human eye. TESS is expected to survey about 200,000 stars during its two-year mission, and haul in thousands of new exoplanet discoveries. Of particular interest to the TESS mission are smaller stars known as dwarf stars. They range from the size of our own sun down to the smaller red dwarfs like TRAPPIST-1. 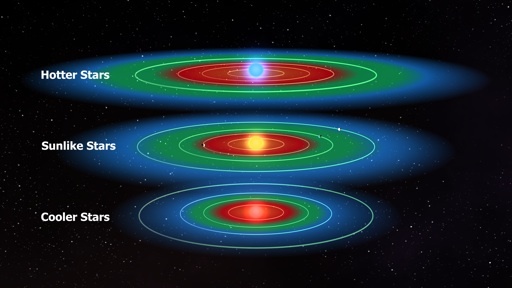 It is easier to detect smaller planets transiting fainter stars, since the proportion of light that they block is greater than for brighter stars. This is sort of like how it's easier to hear a cricket in a concert hall when the orchestra is playing a soft piece of music than when it is blasting the 1812 Overture. And with the discovery of TRAPPIST-1's seven Earth-sized planets, there is renewed interest in planetary systems like it. There has been debate whether red dwarf stars are suitable to foster life-friendly environments on any planets they may possess. Dwarf stars often engage in temperamental behavior, exhibiting wild swings in their light output and producing violent flare explosions. Any planets close enough to them to possess liquid water could be adversely impacted by this behavior. Also, planets orbiting close to their star eventually become "tidally locked" to it, keeping the same side always turned toward it. One side would experience perpetual daylight, the other side unending night. Still, we have learned by studying life on Earth that it can be highly resilient and adaptable to changes in environment, so there is some hope of detecting life even in these types of systems. Later in 2018, NASA's James Webb Space Telescope will succeed the now-aged Hubble telescope. It will be launched from Guiana on a European Ariane rocket. Among its numerous applications, the James Webb Space Telescope will offer follow-up observations of confirmed exoplanets, such as any detected by TESS. The James Webb Space Telescope will make spectroscopic measurements to detect and analyze the chemical compositions of exoplanet atmospheres—which is where things could really get interesting. 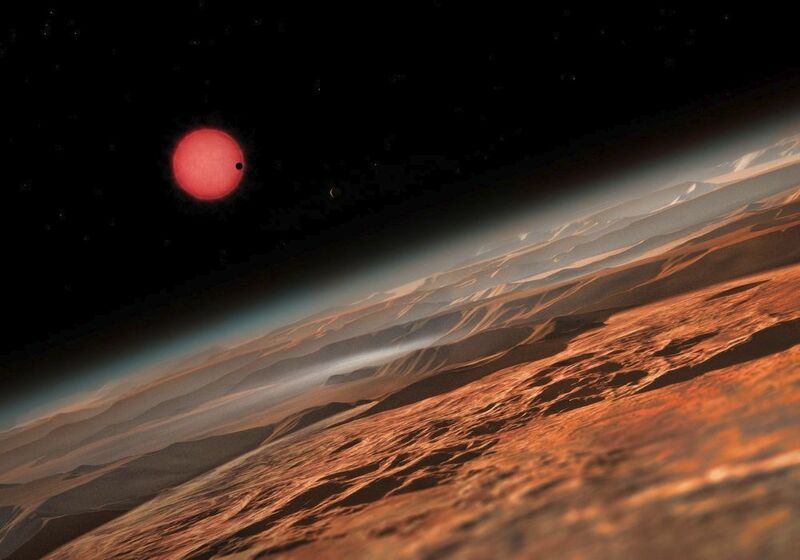 If life exists on any given exoplanet, it has likely altered the composition of its atmosphere. On Earth, animal life produces methane, and plant life adds free oxygen to the atmosphere. If we can detect chemicals in an exoplanet atmosphere that might not be present without the work of life forms, how exciting would that be?